I’m not very good in the sales, I don’t have the patience to walk around extra busy shops searching through rails where everything always seems to be in the wrong size for me, so instead I usually tend to stick to the jewellery. I have the tiniest wrists you have ever seen, they belong on a child, I swear they haven’t grown since I was eight. It’s really very annoying as it’s very very difficult to buy watches or bracelets as they literally just fall off, no exaggeration! So when I find a bracelet that actually fits I buy it, hence the 3 bracelets all at once, I need to grab them while I can. Of course, I accept I’ll never be able to wear bangles or anything of the solid kind as I will lose it within 30 seconds of putting it on, but if the likes of TOPSHOP and new look can keep making bracelets that actually fit dainty wristed individuals (dainty sounds better don’t you think) then happy days. these accessories are amazing !!! These are so lovely! 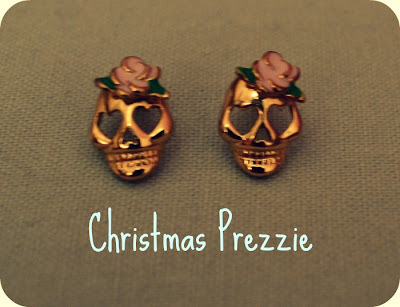 I love love love the skull earrings! beautiful!!! i love the initial necklace the most!! What pretty items! 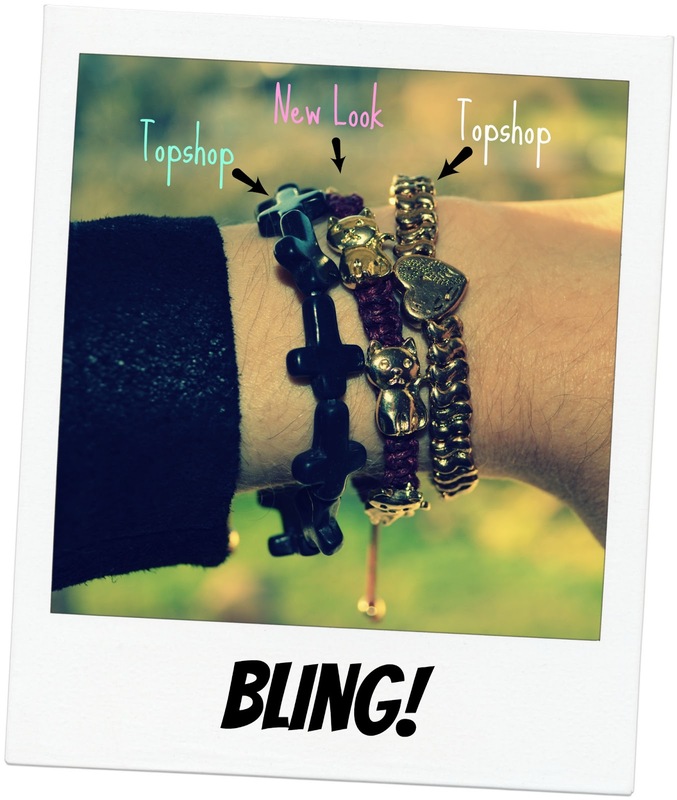 I love the initial necklace and what great deals you got on the three bracelets! I also have small wrists, and small feet for my height! I'm a size 4 and I'm 5ft 7. No wonder I fall over a lot! I love the initial necklace. It's "daintiness" makes it perfect for layering! 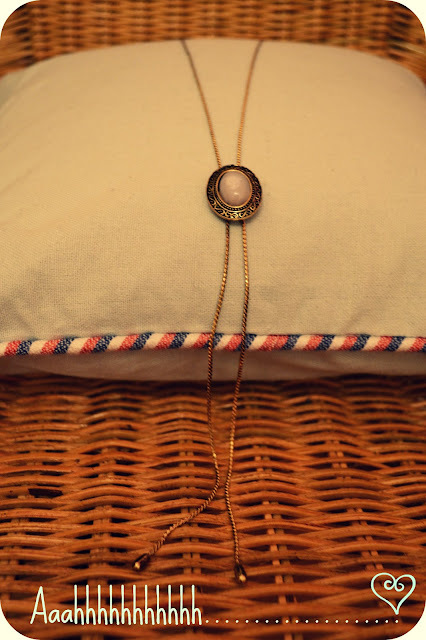 Those are cute & dainty pieces.....esp the initial necklace!!!! 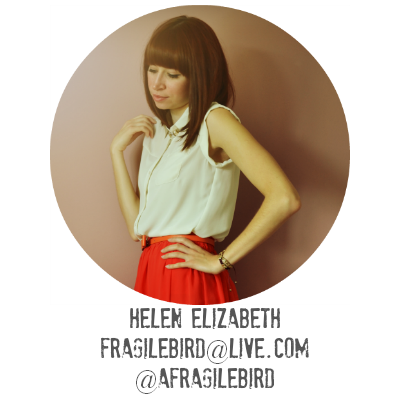 Thanks for stopping by my blog & leading me to discover yours!!! See you around dear!!! These are all really cute! And so agree with you on the dainty wrists, it's extremely difficult to find bracelets that stay on and look good too! 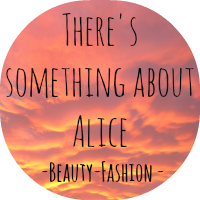 I follow in Bloglovin! I hope you follow back! i love the cross necklace! 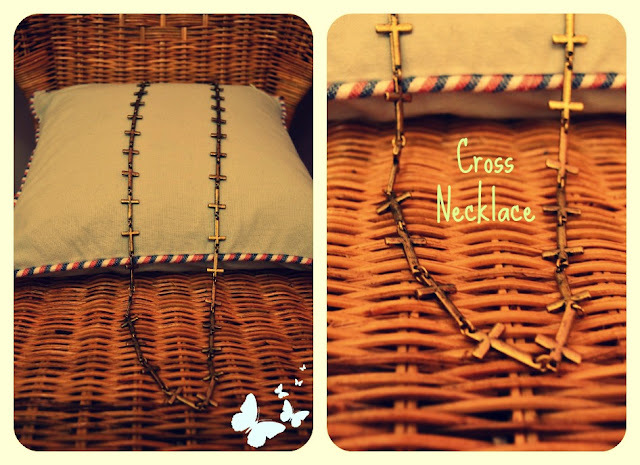 Nice jewelry, I love the cross necklace!! Looks like you picked up some great jewellery in the sale - if I were you I would check out the sales online. No waiting for changing rooms, and it's easy to find your size! 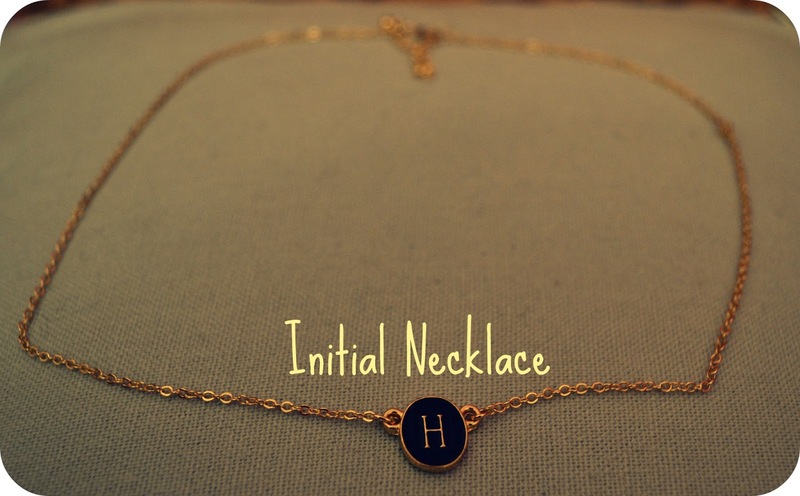 Love your initial necklace ! And the skull earrings are SOOOOOO cute ! Thanks for the comment ;) these jewelry pieces are amazingly cute! that cross necklace is love ! Ahh I am in love with that gold bracelet from Topshop! I would definitely be buying it if we had a store where I live. The initial necklace is very pretty too :). 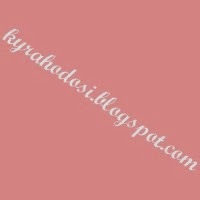 Wonderful blog you have by the way! Love the template especially. I love arm candy! PS: Checkout my giveaway video. Oh I am really loving your jewelry!! !